How often and how much should you be watering plants in your garden and your indoor space? Although not all plants have the same watering needs, many a plant can be rescued and a lot of water can be saved by sticking to a few basic watering guidelines. Before we look at the guidelines for watering plants, we have to, as always, make sure that our basis, i.e. the garden soil or potting soil in which our plants are planted, is rich in organic matter and porous, allowing water to drain from the surface to deep down where the roots can access it, yet also capable of retaining moisture and releasing it to the plants when needed. Early morning watering is always more beneficial. In summer it gives the leaves a chance to dry off before the sun becomes very hot, thus preventing leaf burn. In winter, early morning watering is preferable to dissolve frost in the beds and allow the soil to dry out a bit before the cold night sets in. During the warm seasons the garden can also be watered in the late afternoon when the soil has cooled down to minimize evaporation, but this could make the plant more susceptible to fungal diseases. Water less often, but more deeply. Instead of watering a little bit every day, let the surface dry out slightly and then water thoroughly and deeply. This will stimulate the plants to ‘go in search’ of water, thus developing a deeper and stronger root system. Water gently and gradually to allow water to penetrate the soil. If water is applied faster than the soil can absorb it, it will run off the surface and go to waste. This is especially true of clay soil and sloping areas. Plants on the sunnier north- and west-facing side of the garden will need more frequent watering. When good rains fall, stop watering for a few days. 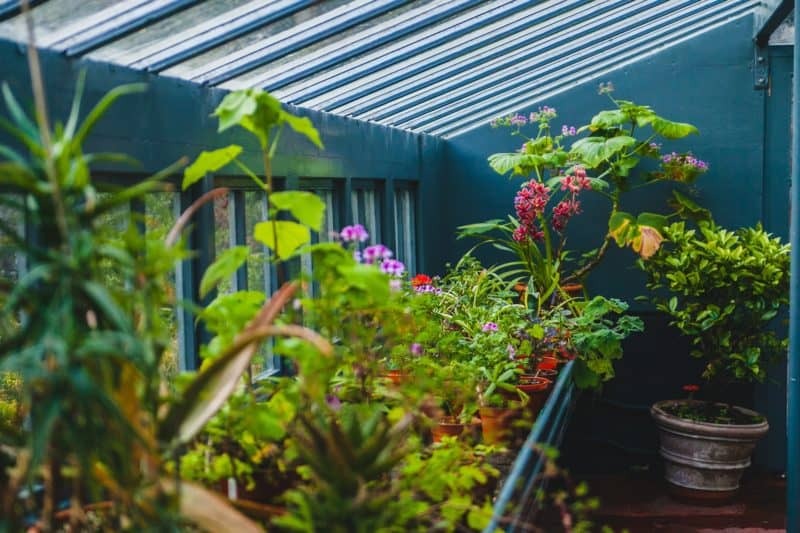 High walls, fences and roof overhang might prevent rain from falling on the plants right next to or underneath them – pay extra attention to watering these plants. Drip irrigation has the benefit of reducing evaporation and allowing water to seep into the soil where the plant needs it…around the roots. It also keeps the water off the leaves of the plants and prevents fungal diseases and leaf burn. Set irrigation systems to water as discussed above and invest in or choose a system with a rain sensor to prevent it from kicking in when it rains and overwatering the garden. 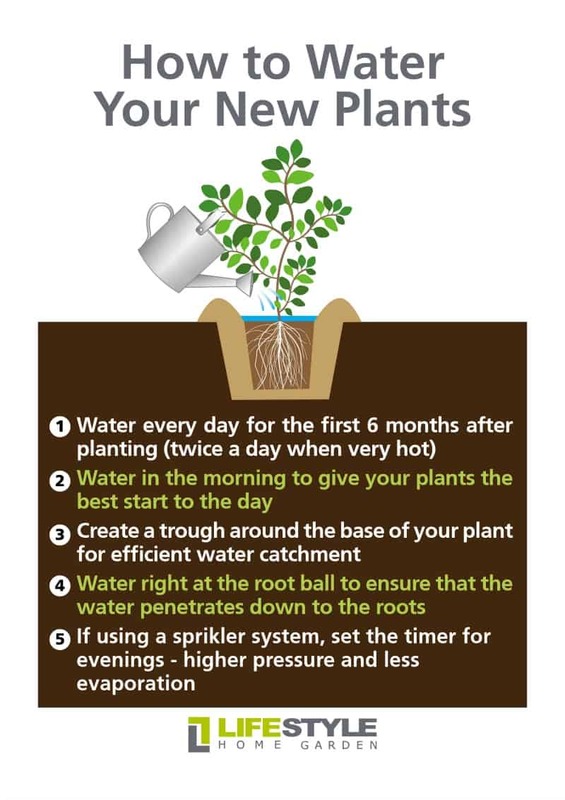 Also adjust sprinkler systems according to the seasons, i.e. less watering during the cooler months and vice versa. 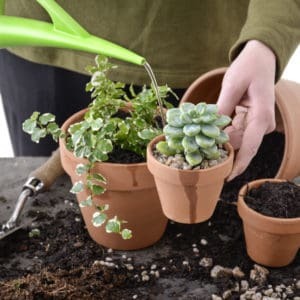 Always remember that plants in containers need more water than those planted directly into your garden or garden beds – so keep a closer eye on your indoor and outdoor plants in containers and pots. When in doubt with watering your indoor plants (with which many people struggle) we recommend doing the finger test! 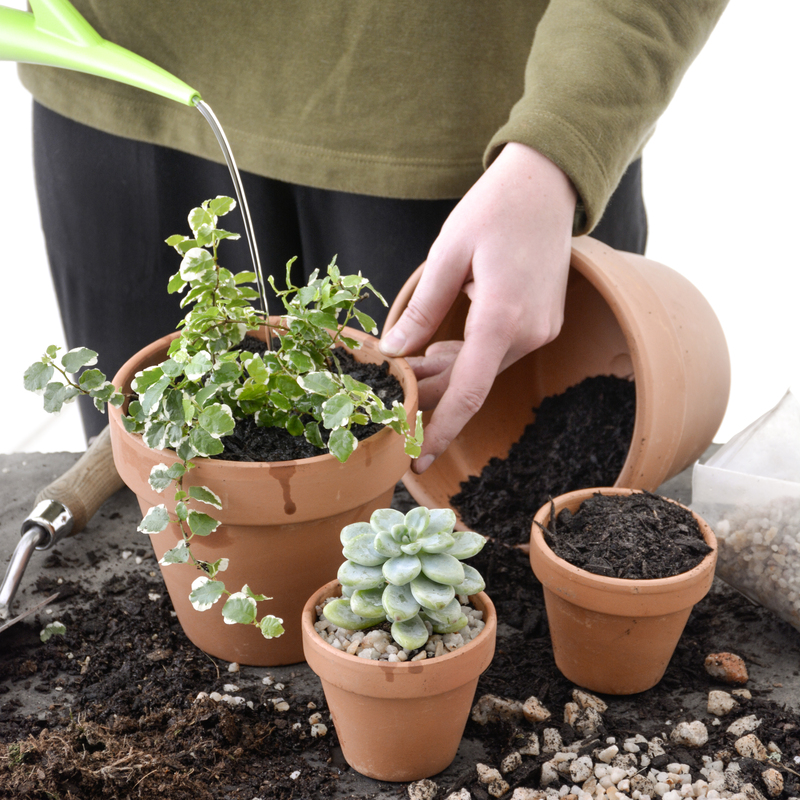 Push your finger or a wooden stick/chop stick about 2cm’s into the soil surrounding your plant; if the soil is dry to the touch and no soil remains on your finger or the stick after removing it, then your plant most probably needs to be watered. If you push your finger or the stick into the soil and it feels moist to the touch and wet soil remains on your finger or the stick after removing it from the soil, then your plant does not need to watered yet. Please note that these are just guidelines for watering plants and each plant has its own unique needs. 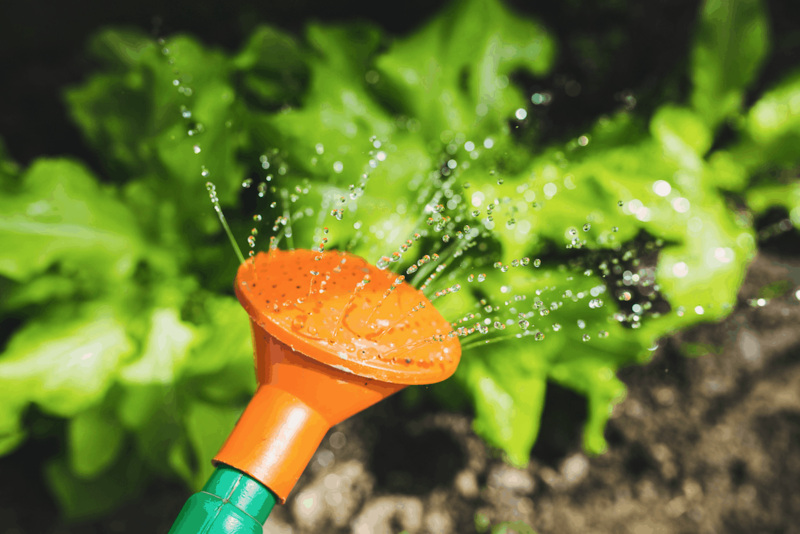 Be sure to ask questions about watering your plant when buying it – does it prefer moist soil or dry soil – and be vigilant in checking the plants’ soil and its leaf condition for signs of over or under watering! Click |HERE| for more info on shopping for indoor plants if your a newbie to gardening.